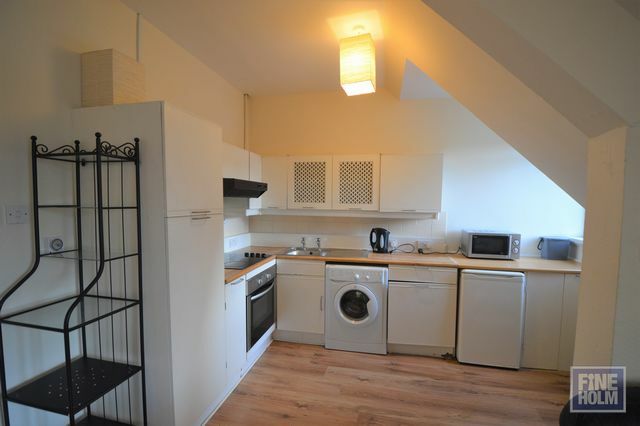 Brilliantly located one bedroom top floor flat in the heart of Edinburgh, just off Tollcross. Excellent for University, financial district, and shopping areas. This property will be freshly painted throughout and has wooden laminate flooring in all rooms. The living room is open plan with the kitchen off to the side and modern appliances. The living area has a comfortable seating area with excellent views across the city. The bedroom has in built wardrobes, brand new bed and bedding and a nice velux window. The bathroom has an electric shower over bath and a nice 3 piece white suite. Local amenties include shops, restaurants, cinema, theatre. Easy access to station. Landlord Registration- 47173/230/26560. EPC RATING F.